If you’re looking to start a marijuana business in Oregon, this is where you need to start. Learn about the latest House Bill 3460 rules, recreational Measure 91 marijuana business requirements, as well as regulation and licensing requirements. This is the seminar you’ll need to learn and understand to build a successful marijuana business. Come out and meet with other business owners and professionals in the cannabis industry. Everyone is welcome: from grower to budtender – processor to retailer, dispensary owner to cannabis-related supplier and distributor. Come enjoy the cannabis industry and speak to others about your ideas and projects! If you’re single or married, this event has a place for you! Finding yourself single at a wedding expo might get kind of awkward, but no worries… you’ll be provided with a speed dating lounge! For the engaged or married couples, you will have the chance to chat with over 70 vendors at a breathtaking, state of the art venue! Vendors will be blowing glass on-site, offering hair and makeup demonstrations and serving up some tasty treats. questions and the latest information on new laws! But that’s not all… you’ll have the opportunity to meet and greet the producers and manufacturers of the latest technology! OMBC is the event to be at for entrepreneurs and business owners so make sure to buy your ticket! This is a premium cannabis friendly music festival outside of The Dalles, Oregon. You can choose to attend this festival for a day or set-up camp and be prepared to spend the weekend. Not only will there be all day music with some of your favorite bands such as Quick and Easy Boys and Glass of Hearts, but there will also be cannabis related booths, cannabis competitions, 420 games, chronic food and so much more! Don’t miss out on this opportunity to enjoy 4/20 with fellow stoners! 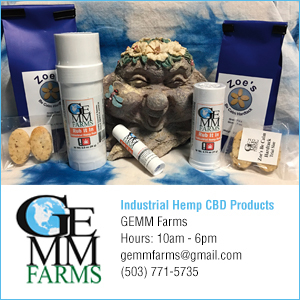 Everything hemp and cannabis related is at this fair! 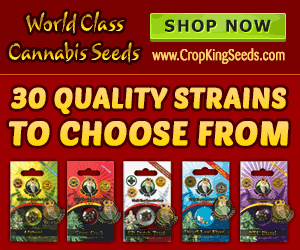 It includes hemp and cannabis products, accessories, tools, grow and harvest equipment, samples and more! You will also be able to enjoy sessions on growing, medical benefits, and legal discussions. Make sure to attend at least one of these events, if not all of them!